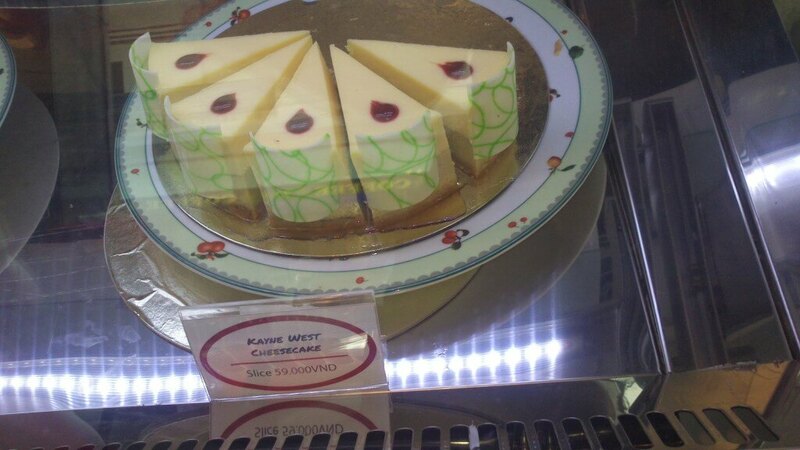 Kanye West Cheesecake – love the names the NY dessert cafe had. We liked it so much we went back for dinner on our last night! 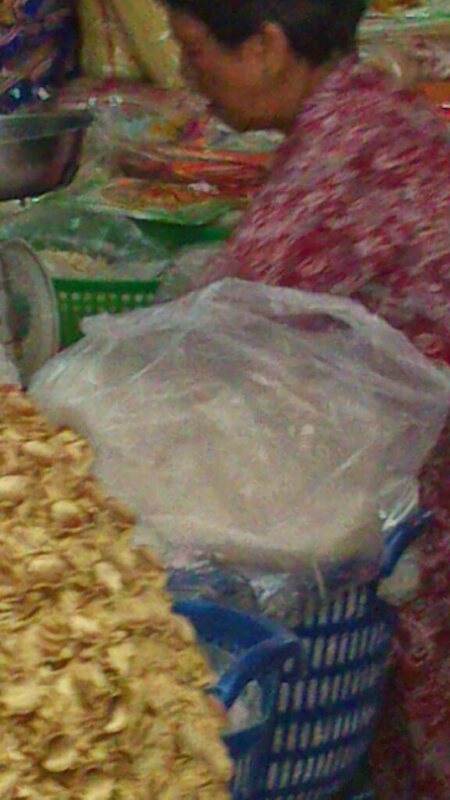 Bad photo of bulk vermicelli – almost a zero waste option! 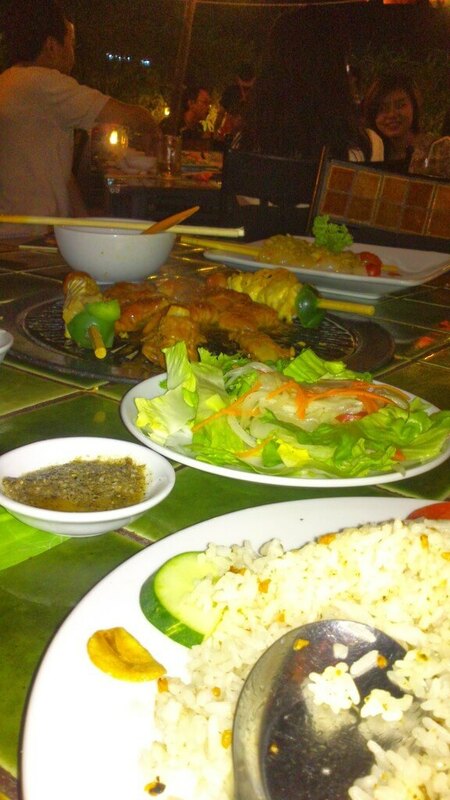 We went to an outdoor Barbeque restuarant. I have never seen so many staff! There was at least one staff member to each 2 chairs, I’d say! They pretty much did all the BBQ cooking for you, so much so they tut tutted when I went to take a skewer – they’d determined they weren’t yet fully cooked. 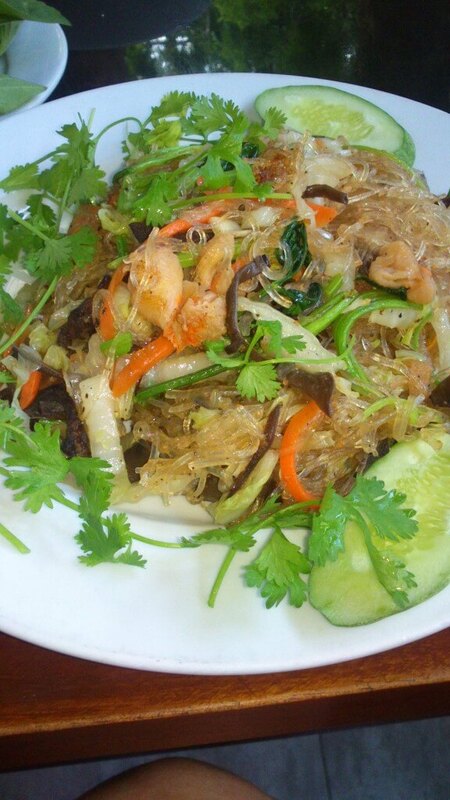 Save for the coriander garnish, this noodle dish was tasty! 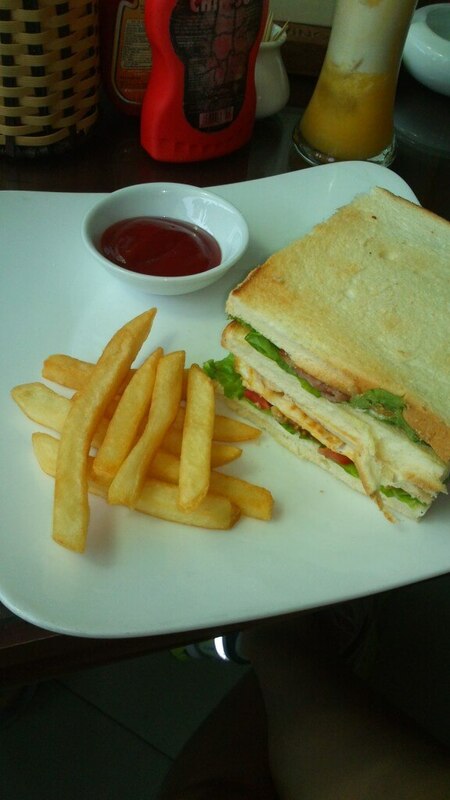 Club sandwich, with exactly 9 chips! Nacho cheese: not exactly what we were expecting! 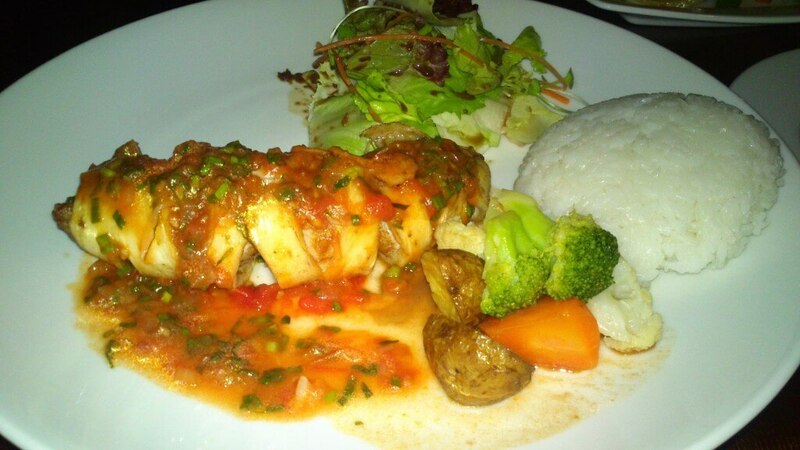 Squid stuffed with pork and crab mince! We certainly weren’t that adventurous! And to go with all that eating? Drinks! 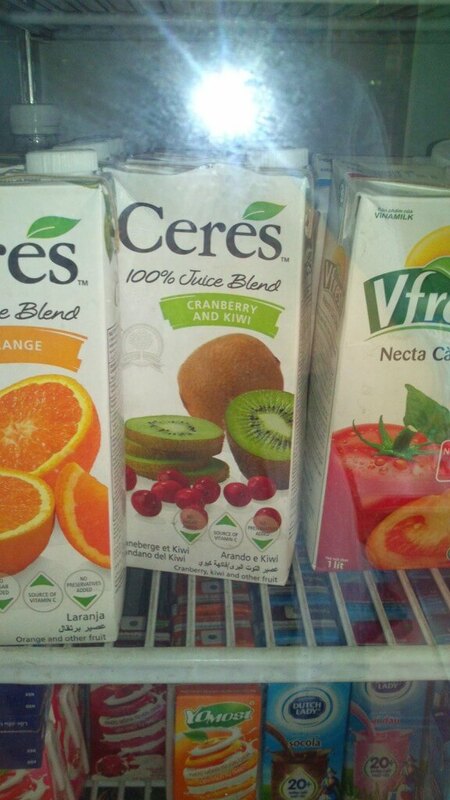 I love all things pineapple, so there were lots of blends of juices. I also enjoy mojitos, and some margaritas, and even a caipirihna to swap out that mint and rum. And the BF was all over the gin and tonics – with a side of beer sometimes. I am not adventurous when it comes to food at all, since I'm pretty picky. The nacho cheese chips amused me though. I'm glad you didn't get sick at all! I don't drink much alcohol anymore due to it either giving me heartburn or an upset stomach, but I do like piña coladas and mostly anything with vodka or rum. I like to *think* I'm adventurous, but I'm really not!! The nacho chips were a little of a let down, especially being stale! Pina coladas are great – I had one whilst I was away, but the coconut milk was super dooper thick, so I steered clear of anymore. I also like vodka and rum based drinks. That pho looks delicious. 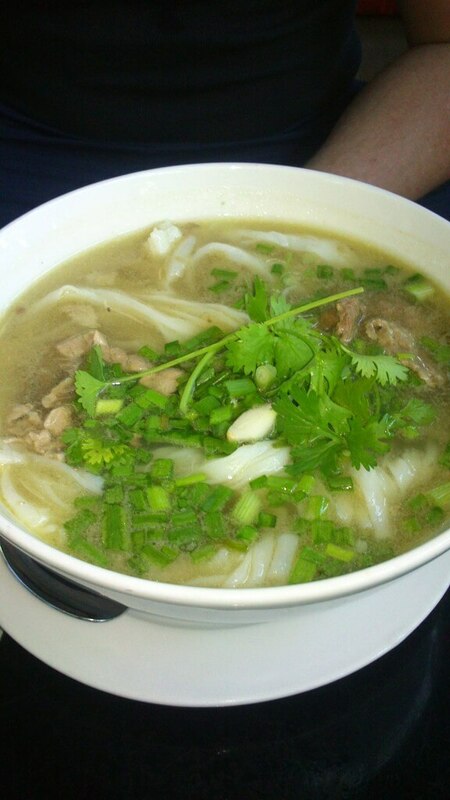 It is their national dish and it is a noodle soup but SO GOOD. I noticed from your list of favourite foods, you are partial to a good soup, so I'm not surprised you think it's good! It all looks absolutely delicious! 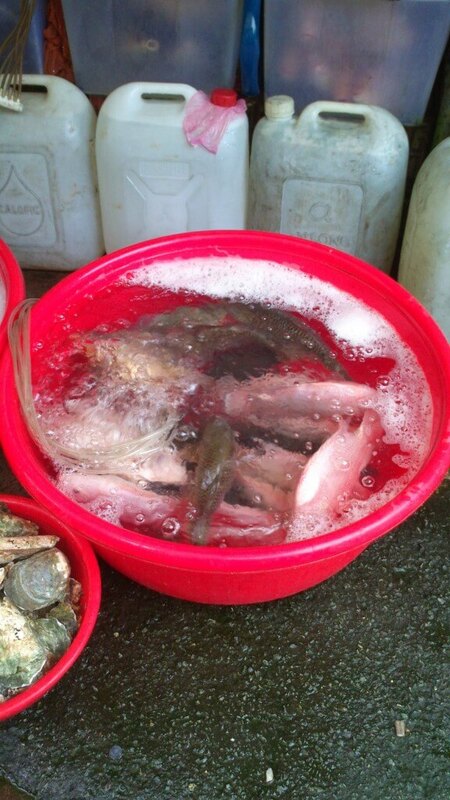 I remember reading EOK's post on eating at street stalls…I'd like to think I would try it, but I'm also very much afraid of getting tummy bugs. Nothing beats mojitos and margaritas on holiday!! Exactly! EOK is so adventurous, but I agree, eating at stalls worries me too much. Although, if they are packed with people, they must be doing something right. All the street stalls in Vietnam came with kid sized table and chairs, which they pack up and add to a huge trolley after the meal, and move on. It's quite amazing, and every one, old and young, seems to be able to get into the low seats and tables! How large is a typical serving of French Fries (Chips) in Australia? I thought the serving of 9 was pretty small, but at the same time I'm aware that we're served some pretty gargantuan potions in North America. What would you consider typical? Probably a good handful or two? I definitely thought the artful arrangement of 9 was comical!! You're right though, servings in the US/Canada can be huge and relatively speaking, so cheap! Yay, a food post 🙂 The squid and the Pho look really good. 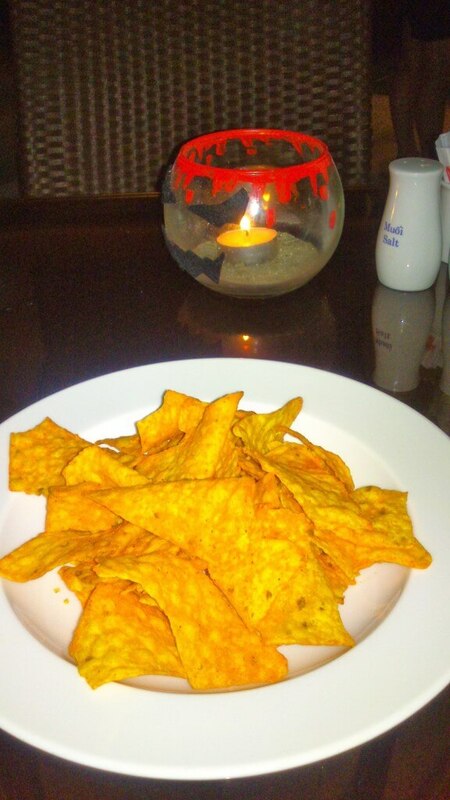 I had a similar experience with nachos when I ordered them in Mexico – it was just corn chips with fake cheese squeezed on top, whereas my boyfriend's fahitas had meat, veggies, real cheese, salsa and avocado! Oh well I'm thankful for no fake cheese then, I can't stand that liquid cheese business! I don't think I actually tried the BF's pho, silly me! How disappointing is that Nachos! And 9 chips!!! Go portion control for weight loss. 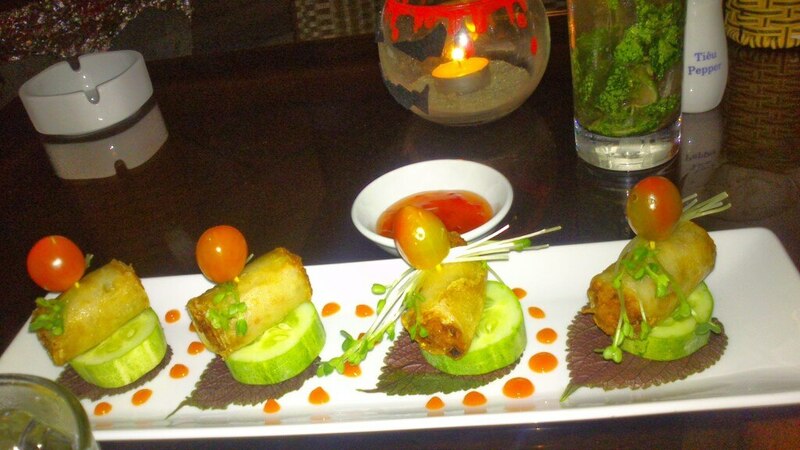 The spring rolls look good,as does the BBQ. Could handle a cocktail with all this smoke in the air and the heat – a nice cosmopolitan. I know, it was a little strange – the 9 chips. Maybe they were trying to look arty? I skip foods because I'm not adventurous either, and because a lot of dishes here are meat-centered. Like when we went to Florida this summer, tons of restaurants had alligator and tons of seafood on the menu, but I didn't try it. One weird thing I ate was jicama (from Mexico) in one of my salads, yum! – it reminded me of raw potato. Alligator certainly sounds 'interesting', even to a non vegetarian!! I've never come across jicama, I'll have to keep my eyes peeled to see it featured on a menu! Had to laugh at the 9 chips and the nachos, although I agree that they're better off without the fake cheese! I like pho but otherwise I'm not familiar with Vietnamese food. 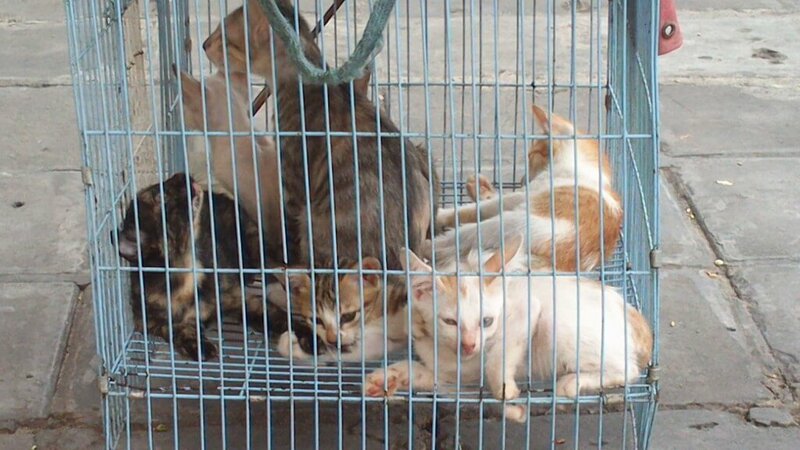 I hope the cats were moving on to a better life (?!) PS – I've never had tuna on pizza! Pho's about it for Vietnamese food, though they have some spring rolls which are different to the ones you get in Chinese restaurants. 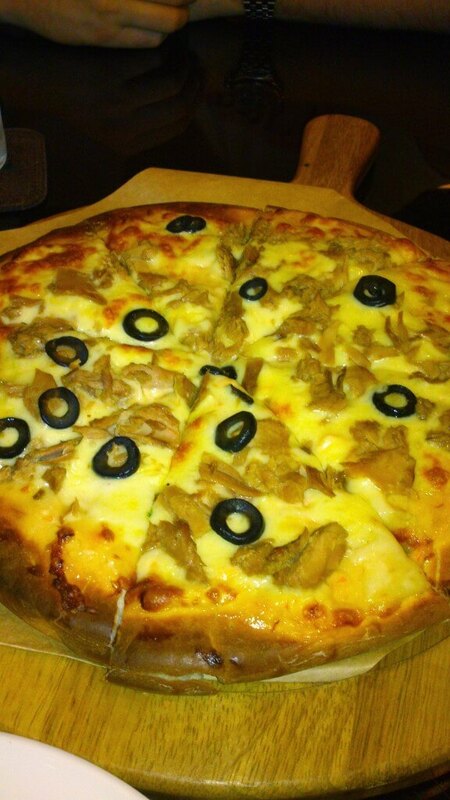 The tuna pizza was yummy!